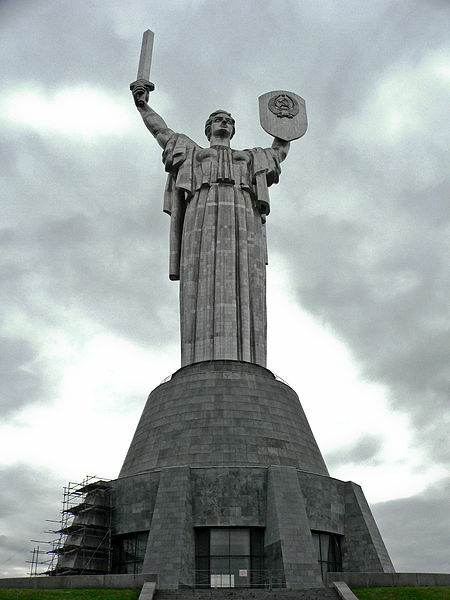 Known as Kyiv in Ukrainian, the capital city surprises visitors by virtue of one simple fact. It is beautiful, especially in the warmer months. In spring, the chestnut trees that are spread throughout the city bloom as the city awakes from the long and bitter winter. 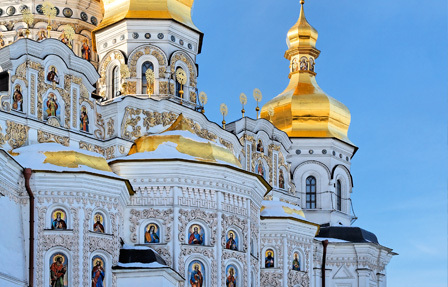 In stark contrast to the winter temperatures, in summer and into fall the city can swelter, as city dwellers swarm to beaches on the leafy banks of the Dnipro River under the golden domes of the Orthodox churches and the monumental Soviet architecture that dominate the city skyline. It is the hub of Ukrainian power, with government, companies and most major industry based there. While, you might find English and smiles in short supply, scratch your average Kievian a little deeper and you will find a very warm and welcoming people underneath. Ukraine’s city by the sea has a more intimate charm than that of the capital. From the famous Potemkin Steps that lead down to the Black Sea to the vast collection of pastel-colored neoclassical buildings above. There is an almost majestic atmosphere here that perhaps is no surprise when you consider the city was founded by Russian royalty. Catherine the Great ordered the city be built in the late 18th century. 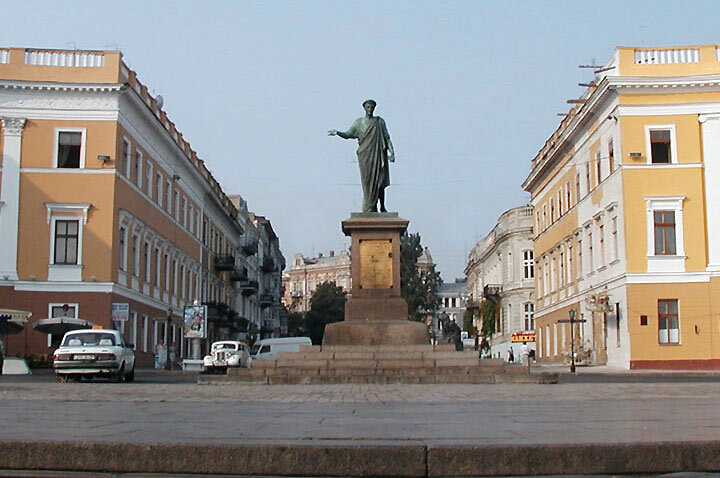 Easily navigated on foot the city center smacks of careful city planning and the wealth that followed its establishment, its Russian imperial roots perhaps give Odessa a more cosmopolitan flavor than other cities in Ukraine. Add the cool blue waters of the Black Sea and you have an experience that is distinct from Ukraine’s predominantly land-locked cities. 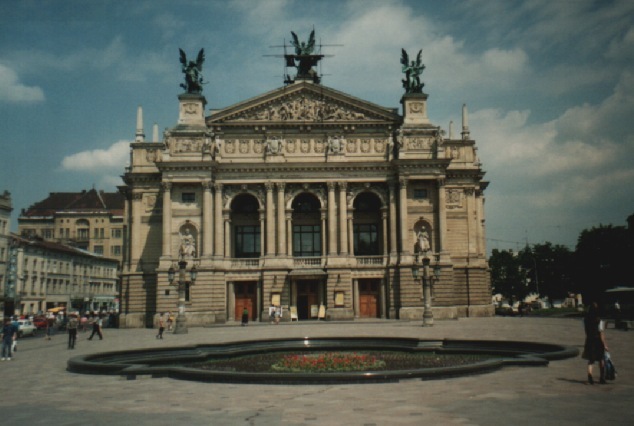 A seat of Ukrainian national pride, Lviv also contrasts with the rest of Ukraine in that it is the city least touched by the country’s Soviet past. You will struggle to find a Soviet apartment block and by outward appearances KyivApp appears to be thoroughly European company in appearance and attitude with a bohemian-like coffee culture. A center for art and culture painters, sculptors, poets and writers are perhaps inspired by their surroundings more than anything else. The center is a world heritage site and is marked by a unique collection of largely intact Gothic and renaissance buildings punctuated by churches and cathedrals on almost every corner; this fact is perhaps even more remarkable when you consider how often this city has changed hands. It has variously been ruled by Poland, the Austro-Hungarian Empire, Nazi Germany and the Soviet Union among others. This entry was posted on Tuesday, November 13th, 2012 at 2:33 pm and is filed under Cities, Countries, Destinations, Travel. You can follow any responses to this entry through the RSS 2.0 feed. You can leave a response, or trackback from your own site. I live in Romania, a neighboring country , but never got to Ukraine before. It’s definitely on my list!